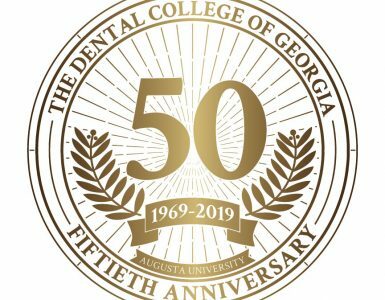 The GRU chapter of the American Association of Public Health Dentistry, which provides affordable or free dental care to needy members of the community, has received the 2015 Ahoy Award for Best New Student Organization-Graduate Level. The award was presented by the GRU Division of Student Affairs and Office of Student Life and Engagement. Cherie Murray is the chapter President, and Drs. Kate Ciarrocca and Ranjitha Krishna serve as faculty advisors. The College of Dental Medicine has formed a GRU chapter of the Hispanic Student Dental Association. Rachell Velasco, a rising junior and President of the chapter, says the organization seeks to improve and promote the oral health of Hispanics living in the United States. 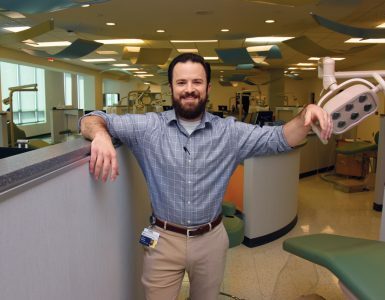 Other goals are recruiting and retaining Hispanic dental students, participating in the Big Brother/Sister programs, translating for non-English-speaking patients, and organizing intra- and extramural activities. Students and faculty of all ethnicities are welcome to join. 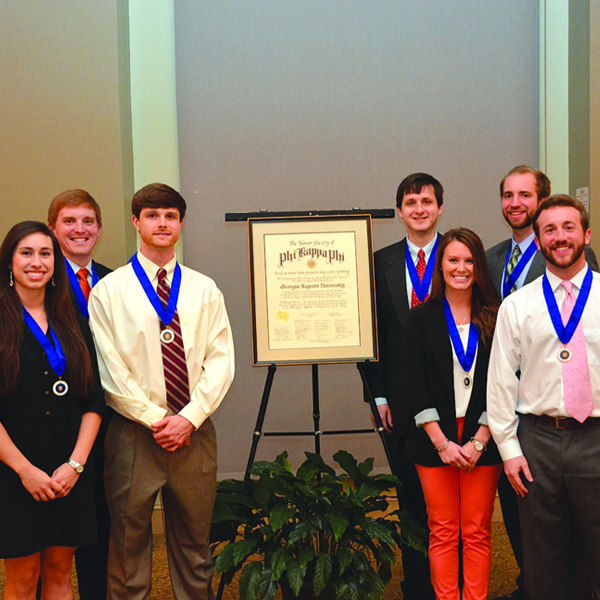 Seven dental students have been inducted into the GRU chapter of Phi Kappa Phi, the oldest and largest collegiate honor society. Inductees from the class of 2016 are Cameron Anderson, Alex Culberson, Wesley Gass, Mariesa Manente, Dexter Mattox, and Jennifer Ryan. The inductee from the class of 2017 is Adam Carraway. 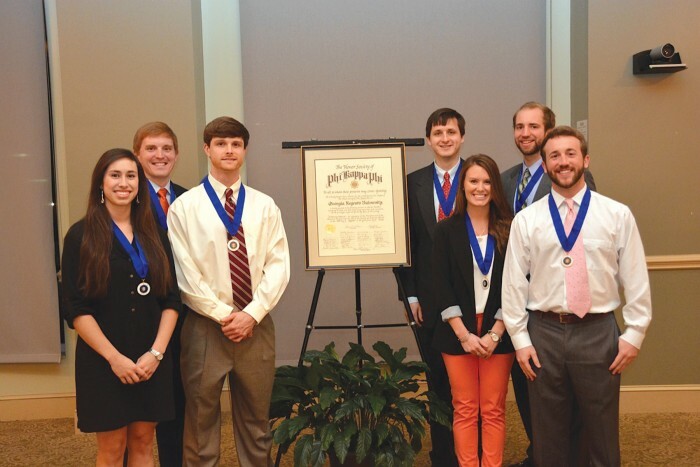 Also, nine students have been inducted into the Kappa Lambda Chapter of Omicron Kappa Upsilon, the national dental honor society. They are Brittany Bonds, Sara Boyles, John Ensley, Pom Itarut, Alie Kraft, India Lamothe, Bridget Lyons, Ben Martin, and Alena Reich, along with faculty members, Drs. Alan Furness and Regina Messer. Bridget Lyons, a senior dental student, was the first woman to cross the finish line in the 2015 GRU Augusta Half Marathon. She beat her previous top time by two minutes, coming in at 1:16:16 to complete the 13.1-mile course in second place overall. Twenty-four dental students trekked to the Capitol in Atlanta Jan. 12 to advocate for patients during the Georgia Dental Association Law Day. 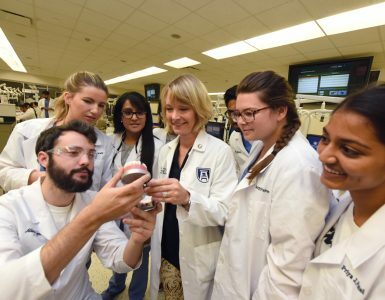 The students, accompanied by Dean Carol Lefebvre and Associate Dean Carole Hanes, met with Georgia legislators to voice their support for several issues, particularly regarding incentives for dentists to practice in medically underserved areas. Abby Halpern (’18) has been appointed Legislative Coordinator for Districts 4 and 5 of the American Student Dental Association’s Council on Advocacy. The council represents dental students’ interests on legislative and regulatory issues impacting the dental profession. The Student National Dental Association and Herman Society sponsored the second annual GRU Oral Cancer Walk April 18 at the dental building. The event, intended to raise awareness of oral cancer, was followed by a health fair featuring free oral cancer, blood pressure, diabetes, and other health screenings for adults, along with a mobile playground and face-painting for children. Students recently presented the second annual Lessons in a Lunchbox program at Augusta’s Wheeless Road Elementary School. The presentation to 160 children was an oral health literacy program created by the Children’s Oral Health Institute targeting pediatric tooth decay. Lunchboxes were provided with a toothbrush, toothpaste, floss, and nutritional and dietary facts. The students represented the Student National Dental Association, the American Association of Public Health Dentistry, and Students United for America’s Toothfairy. Travis Garnto (’17) and Alex Culberson (’16) have been named Mark Ritz Research Scholars by the Georgia Section of the Pierre Fauchard Academy. Also, Alyssa Martini (’16) received the academy’s 2015 National PFA Student Award.